July 19, 2012 - The U.S. Bankruptcy Court for the Southern District of New York has approved aircraft maker, Hawker Beechcraft, Inc. motion to enter into exclusive negotiations with Superior Aviation Beijing Co., Ltd. (Superior). Approval of this motion allows Hawker Beechcraft to spend up to 45 days exclusively negotiating with Superior regarding a strategic combination that would preserve jobs and product lines. As part of the exclusivity agreement, Superior will make payments over the next month to sustain Hawker Beechcraft’s jet business. An initial deposit of $25 million is payable before the end of the week and a second $25 million deposit is payable within 30 days. Any definitive agreement reached with Superior would be subject to approval by the Committee on Foreign Investment in the United States (CFIUS) and other regulatory agencies. In addition, any definitive agreement with Superior will be subject to termination if another potential purchaser succeeds in the mandatory competitive auction process which will be overseen by the U.S. Bankruptcy Court. “The agreement we have reached with Superior provides us with funding to preserve jobs as we simultaneously negotiate a potential transaction with Superior and continue to prepare for our standalone plan described in our preliminary plan of reorganization and disclosure statement,” said Robert S. “Steve” Miller, CEO of Hawker Beechcraft, Inc.
During the exclusivity period, Superior will perform confirmatory diligence while the two companies negotiate definitive documentation of the transaction. 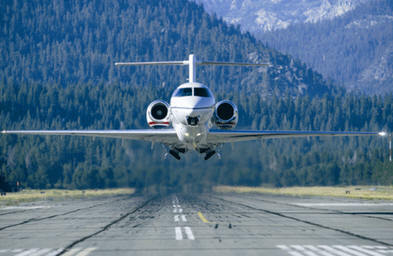 If negotiations with Superior are not concluded in a timely manner, Hawker Beechcraft will proceed with seeking confirmation of the Joint Plan of Reorganization it filed with the U.S. Bankruptcy Court on June 30, 2012, which contemplates Hawker Beechcraft emerging as a standalone entity with a more focused portfolio of aircraft. More specifically, under the Standalone Plan, the company would wind down the company’s jet-related businesses, a process that likely would have commenced already but for Superior’s compelling proposal to the company. Hawker Beechcraft’s cases are being presided over by Judge Stuart Bernstein of the U.S. Bankruptcy Court for the Southern District of New York. Hawker Beechcraft’s jointly administered case number is Hawker Beechcraft Inc., 12-11873.